Born and raised on the shores of Lake George in Ticonderoga NY, Pam grew up fishing from a rowboat, exploring the woods and living in a tight-knit community where social media meant listening to what your neighbors had for sale on the local AM Saturday morning radio swap shop show so you could tell everyone you knew! Pam has a BA in English and Professional Writing from NYIT and years of experience in organic SEO, content writing, WordPress website development and all things internet marketing. Pam has a deep understanding of search engine optimization, the value of unique content for branding and how businesses can maintain their unique voice and persona online. Favorite thing? Working with companies to integrate real world goals, values, skills and expertise into a digital blueprint for success. 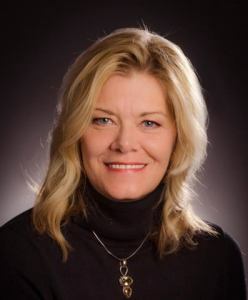 Pam opened eVision Digital Marketing in 2013, and partnered with Jennifer McDonald of Creative Flow Marketing in 2014. The result? An unbeatable blend of design, development and digital marketing skills that brings together all the components of successful web design and marketing for businesses of all sizes and industries. Fun Fact: Pam belongs to the Liberty Working Dog Club and is training her German Shepherd Watson to compete in IPO trials for Obedience, Tracking and Protection. Jennifer is a native of Saratoga Springs, NY and graduated with a BFA in Graphic Design from SUNY Oswego college. After graduation Jennifer was hired at a local Internet Marketing company where she worked for 7 years and gained experience in many areas of the company. In July 2012 Jennifer started Creative Flow Marketing, a graphic design and creative agency. In July 2014, Jennifer teamed up with with Pam where she became a partner of eVision Digital Marketing. Having worked with hundreds of clients, Jennifer understands the importance of branding, SEO friendly copy, good photographs, a strong online presence and marketing strategies for businesses of all sizes. When you work with Jennifer she takes the time to learn about your business and will research your industry to provide you with the best marketing ideas and solutions for your business. Jennifer is not just a designer, she is a marketing strategist who will create a clear message for your customers through her design and digital marketing services. Jennifer is passionate about the level of service and quality of work she delivers. This results in well-executed websites, effective marketing campaigns, happy clients, and long lasting relationships. 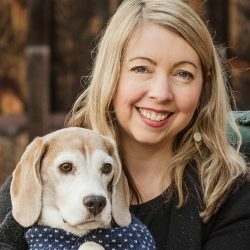 Jennifer is an active member of her local community, donating her time and professional services to a number of non-profit organizations including Friends of the Saratoga County Animal Shelter, Homes For Orphaned Pets Exist (H.O.P.E. ), Saratoga County K9 Unit and the Friends of the Saratoga Dog Park. Fun Fact: Jennifer is a 2017 recipient of the Post Star 20 under 40 awards. The Post Star 20 under 40 awards honor people younger than 40 who have demonstrated success and dedication to their careers and who are role models in their trades or communities.